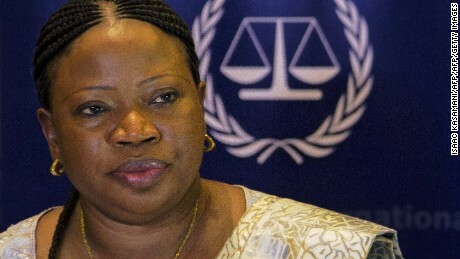 Chief prosecutor Fatima Bensouda sought authorization in November 2017 to open an investigation into crimes connected to the conflict in Afghanistan. According to a statement from the time, Bensouda's office "determined that there is a reasonable basis to believe" that members of the US armed forces and the CIA committed "war crimes," particularly in 2003-2004. According to a media release about the decision, the three judge panel "concluded that an investigation into the situation in Afghanistan at this stage would not serve the interests of justice." The judges considered the time since the 2006 preliminary examination "and the political changing scene in Afghanistan since then" as well as "the lack of cooperation that the Prosecutor has received," which they said was "likely to go scarcer should an investigation be authorized." However, the judges found Bensouda's request "establishes a reasonable basis to consider that crimes within the ICC jurisdiction have been committed in Afghanistan," according to the release. Bensouda's office noted this in its statement about the decision and said it would "further analyse the decision and its implications, and consider all available legal remedies." Amnesty International pilloried the decision, calling it "a shocking abandonment of the victims" that "ultimately will be seen as a craven capitulation to Washington's bullying and threats." "The court has a moral and legal duty to reach out to the victims of crimes in Afghanistan and explain this decision," Biraj Patnaik, South Asia Director at Amnesty International, said in a statement. The Trump administration welcomed the move, which came after Secretary of State Mike Pompeo announced in mid-March that the US would deny or revoke visas for ICC staff in response to the potential investigation. "This decision is a victory for the rule of law and the integrity of the ICC as an institution, given the United States is not subject to the ICC's jurisdiction," Pompeo said in a statement Friday. President Donald Trump said that it was "a major international victory, not only for these patriots, but for the rule of law." "We welcome this decision and reiterate our position that the United States holds American citizens to the highest legal and ethical standards," he said in a statement, warning that "any attempt to target American, Israeli, or allied personnel for prosecution will be met with a swift and vigorous response." In early April, Bensouda's office and the State Department confirmed that her entry visa to the US had been revoked. "The Office of the Prosecutor has an independent and impartial mandate under the Rome Statute of the ICC. The Prosecutor and her Office will continue to undertake that statutory duty with utmost commitment and professionalism, without fear or favor," her office said in a statement.